If you’re a baby boomer in your fifties, sixties, or early seventies — and love to travel or would love to start traveling — clarknorton.com is for you. Many of you are now empty nesters and nearing retirement or already retired — which often means you have extra time and income to devote to travel. I hope to provide inspiration to take those long-awaited trips you’ve been dreaming about, as well as to offer practical tips to help make them happen. Some examples: My recent nine-part series on traveling in Japan offers both inspiration (“Eight Great Reasons to Visit Japan“) along with nitty-gritty details such as acquiring train and subway passes and packing light (“How to Prep for a Trip to Japan“). 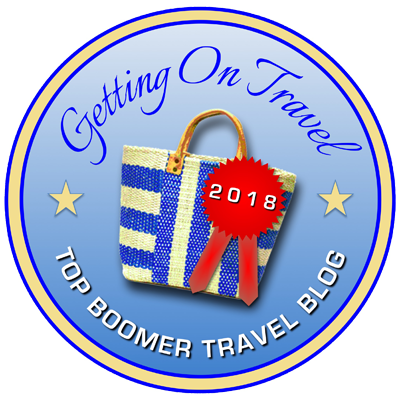 You may also want to turn to posts such as “An Easy Way to Get Age 55+ Cruise Discounts” and “Hot New Baby Boomer Travel Trends and Tours” among many others geared specifically to boomers. But here’s a little secret we won’t tell the Gen Xers and Millennials (well, maybe — I like the additional readership): If you’re in your twenties, thirties, or forties, you can find plenty of posts here that appeal to you as well as to your parents. Readers of all ages have made “Six Great Day Trips from Charlottesville, VA,” “How to Get Around the Mediterranean,” “When Restaurants Spill Drinks All Over You,” “and “Spirit Airlines: No Frills, Plenty of Fees” among the most popular on the site. A freelance journalist, screenwriter and copywriter for four decades, I’ve covered the baby boom generation since the days that, like many other young boomers, I donned a backpack and tramped around Europe in my twenties. As I became a father and my wife and I reared two children while in our thirties and forties, I wrote about boomers like me taking kids on the road. And now, as a new grandfather, I write about my generation as we experience all new adventures around the globe (sometimes with grandchildren in tow). After interviewing — and often traveling with — countless other baby boomers, I know what attracts boomers to travel – and what turns us off. As a rule, we may be graying but we’re not decaying — we’re adventurous and have the passport stamps and frequent flier miles to prove it. But most of us are looking for a bit more comfort in our travels as well. My own travels have taken me to more than 120 countries on seven continents and to all fifty U.S. states — and my bucket list is still growing. Among other topics, I’ve written about cruising and adventure travel, family travel and exotic destinations around the globe — for publications as such as Outside, The Washington Post Magazine, Rolling Stone, Reader’s Digest, Hemispheres, Health, American Way, EnCompass, Endless Vacation, Family Fun, Family Life, Parenting, TV Guide, USA Today, the Chicago Tribune, the San Francisco Examiner, The Toronto Star, and many more. Recently, I served a six-year stint as Porthole Cruise Magazine’s theme cruise columnist, chronicling the dedicated groups of astronomy buffs, Red Hat ladies, ballroom dancers, knitters, ukulele players and other niche cruisers — largely composed of baby boomers — as they follow their passions on ships around the world. My feature articles have appeared on dozens of magazine covers and won two Pacific Asia Travel Association Gold Awards (including Best Magazine Travel Feature of the Year), as well as two Gold Awards from the North American Travel Journalists Association for Best Magazine Travel Series of the Year. And I’ve authored or co-authored 17 travel guidebooks to California, the Dominican Republic, and Alaska for publishers such as Fodor’s, Mobil Travel Publications, and Hunter Publications, and written for major websites such as Sherman’s Cruise Travel, women.com, parentcenter.com and fodors.com. My most recent guidebook is “100 Things to Do in Tucson Before You Die,” published by Reedy Press of St. Louis — a bucket list for the city I now call home, along with my wife, Catharine, and two very spoiled cats, who seem to have adapted to life away from upstate New York, where they spent their formative years. My professional affiliations include the Society of American Travel Writers (SATW) and the North American Travel Journalists Association (NATJA). And our “kids” — Grael and Lia, now both 30-something adults (who read my blog!) — have inherited our love for travel, which is one of our proudest accomplishments. And they’re passing it along to new generations: grandson Conrad has already been to Greece, Vietnam and Mexico at the tender age of two, with another Greece trip coming up. So once again, welcome to my blog. I hope you find it both useful and entertaining — and please feel free to contact me with any questions or comments!